What of it comes up no blade detected because of the blade detector? will you be making a holder for the a side so it can be used on that side as well. It engraves beautifully but I didn't consider when I was getting it that it wouldn't be able to fill in the letters in he B side housing. There maybe two reasons you are getting so many requests for an engraving tip in slot A. First, there is a Youtube video at the following link that uses one of your tips for another machine in slot A of the Cricut Maker. The video shows us your tip at about 6:43 minutes into this 10 minute video. This is probably what people are looking for but the video and description do not tell us which tip she used. Personally, I would not risk ruining my expensive Maker machine by putting a tip in slot A that is not designed for that slot. Too many things could go terribly wrong. Especially if glass shards go flying into an eye as what could have happened in the above video when her glass broke while engraving. Second, Slot A is the only slot the Cricut Maker uses for scoring or writing. It is impossible to scribe and cut in one step the way Design Space functions. The only solution is to put an engraving tip in slot A and do a score & cut in one step. With your tip in slot B, this work becomes a two step process that is very very very hard to accurately line up the information so that it does not run over what is cut. I hope this information was helpful to your website viewers and blesses your business. 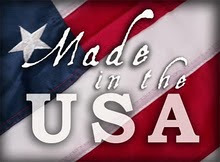 I love what you are doing, and I am totally glad your products are made in the USA. Thank you. My explore Air 2 machine does not fit the device when used in clamp A. The pen attachment is of course removed. I purchased the engraver/etching tool for my Circut MAKER but I'm not getting the results I was expecting, maybe you can help. All I really want to do is scribe 3 lines of text on a "small" brass nameplate but the letters are always "outlined" and because of the small font being used the finished product is hard to read. Is there a way to simply etch/scribe without outlined characters with the MAKER even if I have to purchase something and possibly use the "A" side? The above comment by ORD312 is the same issue I'm having. I'm not looking for my engraving to be outlined. Is there an option in design space or an attachment that can be purchased for slot A so the engraver can be used there? I have tried several times to use the Engraving Tip in my Cricut Maker but it wont allow me to use it because the blade detector. Can anyone help? I also have tried several times to use your Engraving tip for my maker. My machine also says no blade detected. Is there away to get around this? I have found that the engraving tip that I purchased doesn't do what I expected. If you are trying to engrave say a dog tag or some very thin metal or foil, try a styls in clamp A & scribe. The tool I received (form Amazon) doesn't fit in the clamp B, it is too thick ! It would be nice to add a note how to use it in the tool package. Just curious what is the best material to pick when wanting to engrave on Aluminium?